Bellasario Dominquez, a Chiapas doctor and Congressman, publically denounced the 1913 U.S. sponsored coup against democratically elected president Madero for imposing a tyrannical dictatorship on the country. Tyrannical dictator Victoriano Huerta sort of took umbrage to that, and had Dominguez shot. Dominguez lived well, died (relatively) young, and left a beautiful coin behind. 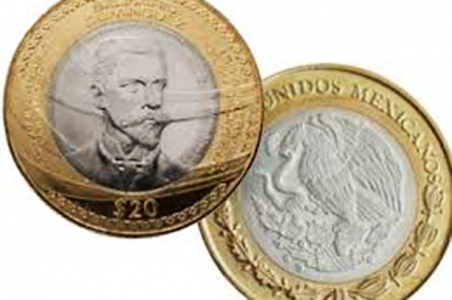 At last that’s the assessment of the world’s mint directors, who at their 28th annual conference yesterday, held at the Mexico City mint (which has been in business since 1535, thank you very much) voted the Bellasario Dominguez commemorative 20 peso piece the world’s most beautiful circulating coin.